When someone collects unemployment benefits, they have been laid from a job that pays them a portion of their regular earnings until they are called back to their job. 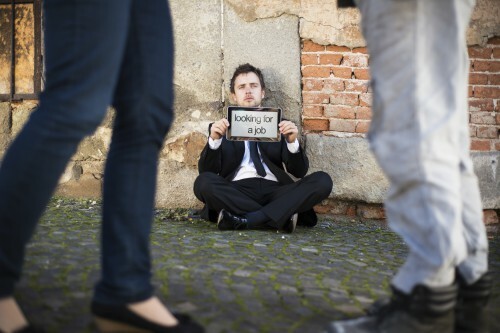 Individuals collecting unemployment must assert they are capable of working at most jobs and capable of accepting an employment offer equal to or exceeding the wage they earned at their previous job. Alternately, recipients of Social Security disability are receiving benefits because they cannot work due to a physical or mental disability. This means you may not collect SSI or SSDI while collecting unemployment benefits unless you are in the process of filing a disability claim while receiving unemployment benefits. What Happens If Unemployment and SSDI are Collected Simultaneously? People collecting unemployment benefits must contact their unemployment office if they begin applying for any kind of Social Security disability. In addition, if they receive SSDI or SSI benefits while also collecting unemployment benefits, they may be forced to repay unemployment benefits received since they started receiving disability benefits. In some cases, notifying the unemployment office about filing for disability may result in having your unemployment terminated. This is because you are claiming you cannot work due to a physical or mental disability. To legally receive unemployment benefits, you must be healthy enough to work. Should I Apply for Both Unemployment and Disability Benefits? Although you can apply for both programs, applicants should never hide the fact they have applied for unemployment benefits and SSDI or SSI. Doing so may cause them to one day face administrative law judges regarding how much they need to repay the Social Security Administration. If you are confused about whether you can rightfully apply for disability benefits while receiving unemployment, contact Fred London law today to schedule an appointment with an experienced disability lawyer.